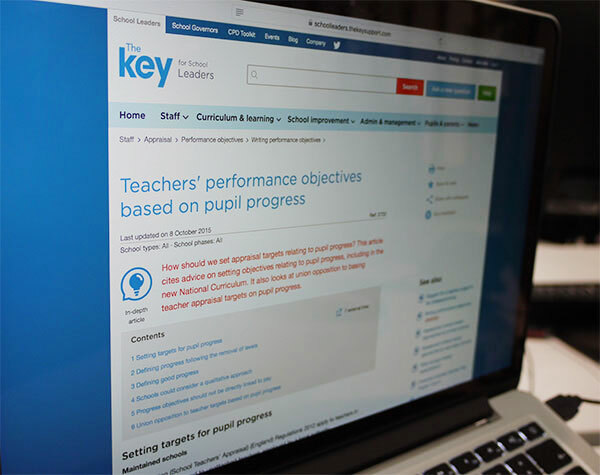 As you may have seen in our previous blog post – Evolving The Key: insights from user research – after a year in design and development we recently helped The Key Support relaunch The Key for School Leaders and School Governors. 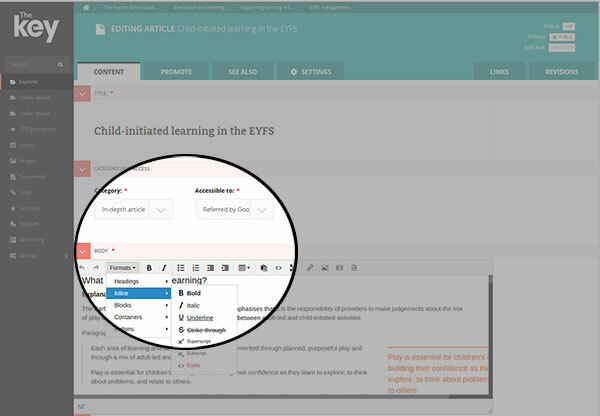 This post looks at the technology selections for the refresh of The Key’s content management platform and why certain elements were chosen. update the underlying platform. The new content management system (CMS) needed to be efficient at managing user subscriptions, making the right content available to the right users (The Key has 7 different classes of user), as well as being ready for any future expansion plans. The platform for the past 9 years has been Plone, an open source enterprise content management system first released 15 years ago. In 2007 – when we built the first version of The Key – Plone was the ideal choice, but as the business requirements have expanded and been refined over the years we felt it was a good time to revisit that selection when we were presented with the opportunity to completely refresh both sites. As The Key has grown in size so has the variety of content they are displaying on the site. As the breadth and types of this content has developed The Key have struggled with the restrictions created by the traditional template-driven nature of Plone. This prompted us to consider more flexible CMS options. The solution? A shift from Plone to Wagtail. We were already pretty impressed with Wagtail, having already used it on a couple of smaller projects. Like Plone it’s an open source CMS written in Python, but Wagtail is built on Django, our preferred web framework, giving us all the advantages that Django brings. We wanted to make sure that the new platform would stand the test of time as well as the previous Plone solution had, so we ran a careful evaluation process between a group of Django based solutions – including Wagtail, Mezzanine, Django CMS and a bespoke pure Django approach – to see which would best meet The Key’s requirements. We’re pleased to say that Wagtail came out the clear winner! These features of Wagtail aligned beautifully with The Key’s requirements, allowing us to focus on delivering the features that they really needed. Wagtail is a new and exciting open source platform which is constantly growing with new features and contributions. We were really looking forward to being involved and contributing some elements of our own. One of the first tasks to complete as part of the move was to export the data out of Plone and into Wagtail. This involved the careful migration of over 30,000 pages across two websites, complete with full page history, allowing us to preserve all of The Key’s valuable content and metadata. Improve the quality and robustness of reporting tools. Another important task was to ensure that any user behaviour tracking was successfully migrated over to Wagtail. The Key harness their large database of users to track and record vital information which is then translated into leading insights, ensuring The Key remain at the forefront of trends and industry changes. Through our longstanding relationship with The Key we understand how valuable this data is, so we used a custom API to integrate a data warehousing service called Keen.io. This service intelligently stores the data allowing The Key to collate, store and build their own queries and analysis of user behaviour, allowing them to constantly refine and improve their content to better serve their members. To ensure the stability of the complex infrastructure that supports a project of this scale we installed New Relic – a real-time software analytics program. New Relic provides deep performance analysis for every part of The Key’s platform, enabling us to make faster decisions, monitor interactions, quickly pinpoint errors and achieve better business results for The Key. What we’ve found working with Wagtail is that it’s so flexible, customisable, scalable and user friendly. It’s working wonders for some of our other clients too. If you’re interested to know what moving to Wagtail could do for the performance of your site then get in touch, we won’t try and sell you something you don’t want or need! The next blog installment: How has The Key benefited this update a month after deployment? 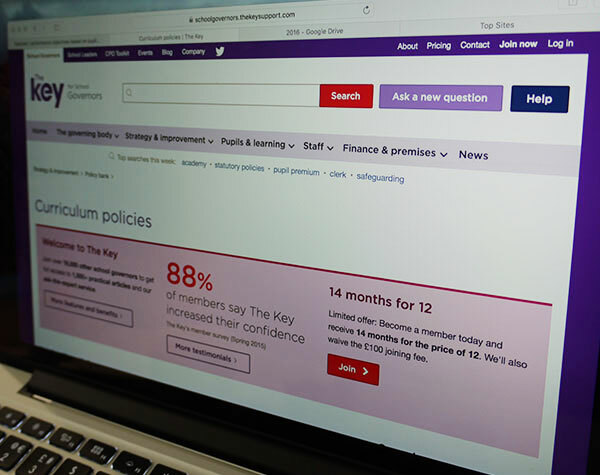 In our next blog post about The Key we’ll be revisiting the site a month after deployment to find out how their staff members got on with the CMS change and what impact it has had on the business. If you found this article interesting and are looking for an agency to help you with an upcoming project, please do contact us and find out how we can help you. Alternatively you can read about some more of our work and see how we have helped other companies achieve their goals. This entry was posted in CMS, Django CMS, Wagtail on July 13, 2016 by Sarah Birtles.